-A fragment from the Temple Scroll, a text that gives instructions for how to conduct services in the ideal temple. 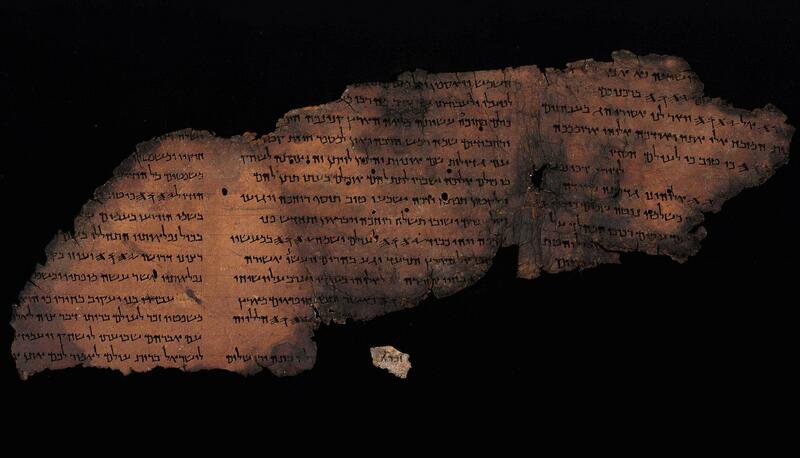 Scholars have debated whether there are two or three copies of the Temple Scroll from Cave 11. The discovery of the text on this fragment suggests that there are, indeed, three copies. -A fragment from the Great Psalms Scroll. This fragment contains part of the beginning of Psalm 147:1, and the end of the verse is preserved in a larger fragment from the same cave. The newfound fragment shows that the ancient Psalm is slightly shorter than the Hebrew text used nowadays. -Another fragment has letters written in paleo-Hebrew, an ancient Hebrew script. This fragment could not be attributed to any known manuscripts and could belong to an unknown manuscript.